Breakin' up may be hard to do in the best of circumstances, but calling it quits before Valentine’s Day is in a league of discomfort all its own. Avoiding an awkward situation is key, but as matchmaker extraordinaire Amy Laurent points out -- “breaking up via email, text message or even over the phone shows cowardice and immaturity.” With that in mind, here’s a list of spots that make breaking up right before Valentine’s Day just a wee bit easier (or at least more survivable). 10.Rick’s Cabaret & Steakhouse (Garment District) - Soothe the blow by offering to buy your ex a lap dance. 9.Bagatelle (Meatpacking District) - So loud no one will notice your yelling match. 8. Go see He’s Just Not That Into You - Blame it on the eye-opening film. 7.Shang (Soho) - Should your ex go bizerk, this LES spot is located in the Thompson LES, which extends from Orchard Street to Allen Street (meaning it has two exits)—so you can excuse yourself and peace out discreetly. 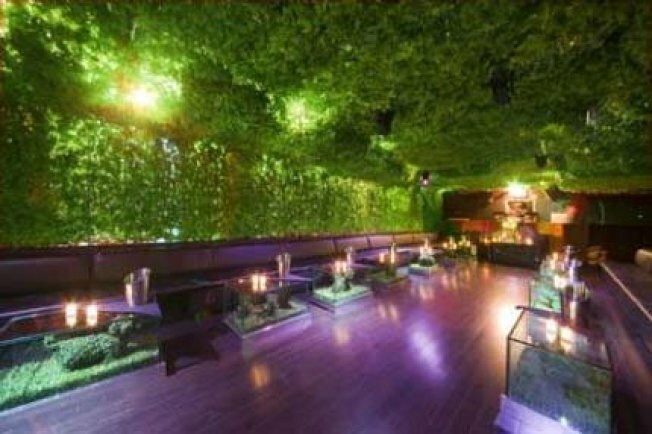 6.Koi (Midtown West) - Break up over cocktails, then head across the street and try your hand at picking up a model at the Bryant Park Fashion Week tents. 5.Dylan’s Candy Bar (Upper East Side) - Even amidst a nauseating amount of heart-shaped candy, nothing helps beat the blues quite like chocolate. 4.China 1 (East Village) - Cheap and tasty—so it’s all good even if your ex storms out, sticking you with the bill. 3.Kefi (Upper West Side) - Those worried about chickening-out can take shots from the city’s only ouzo machine, which cranks-out refreshing liquid courage, before the deed is done. 2.Supper Club - Pass your ex along via the sociable folks at Supper Club who are hosting a dinner where they’re asking each attending member to bring a single whom they deem a potential fit for someone else in attendance. 1.Greenhouse (Soho) - Do the deed, then “accidentally” get lost in the crowd.